…from the local Amazon service in the UK, France, Italy, Germany and Spain! The postage and packaging charges should be significantly cheaper than when ordering it from the US. There are many more photos, some from Winston Graham’s private collection, taken when he and his wife Jean joined us on location in Cornwall during the filming of the second series. This news makes my day! Congratulations! It’s so satisfying writing a book and getting it published… Can’t wait to read it! And you’re speaking from personal experience, Katherine! I still have the first one on my bookshelf signed by you in April 1988 in a bookshop in Canterbury! Looking forward to getting the second. Ohh that’s wonderful! 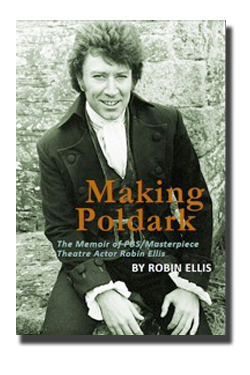 This “Making Poldark” will be my 3st copy! Thank you Robin and Meredith!! p.s. seems Robin likes work with cat around the pc: me too!!! Ross becomes a grandfather in the last book, when Jeremys wife gives birth 🙂 ……. Was a passionate fan when we lived off Fulham Road and used to see you walking to the paper shop -made my day when I was pregnant and feeling rather gross. Now have 2lovely sons -one with diabetic girlfriend so will be buying book and trying recipes. Completely serendipitous that I was a fan -and also that I now work with your cousin Jane (Owen) ! Brings back memories for me that walk to the paper shop! 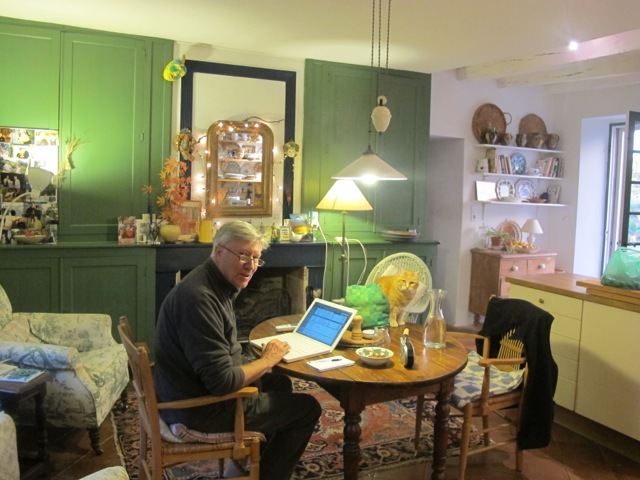 I’ve a memory lapse about Cousin Jane!–can you clarify a bit more? Will be buying your book Robin. I would also like to thank for sending me a signed autograph of yourself with a lovley little note for me that my father requested for me from the BBC when I was 12 . I am now 46 and I treasure it deaply.My Father is now 75 and a diabetic too.. Many thanks Robin and I still watch the reruns of Poldark and have recently bought the dvd box sets. Good Luck in the future with all your books. Thanks Andrea–and I’m happy that you got the photo all those years ago! I am looking forward to getting my copy bought from Amazon. It is due to arrive on Thrusday. Robin, believe me or not, I’m counting hours.